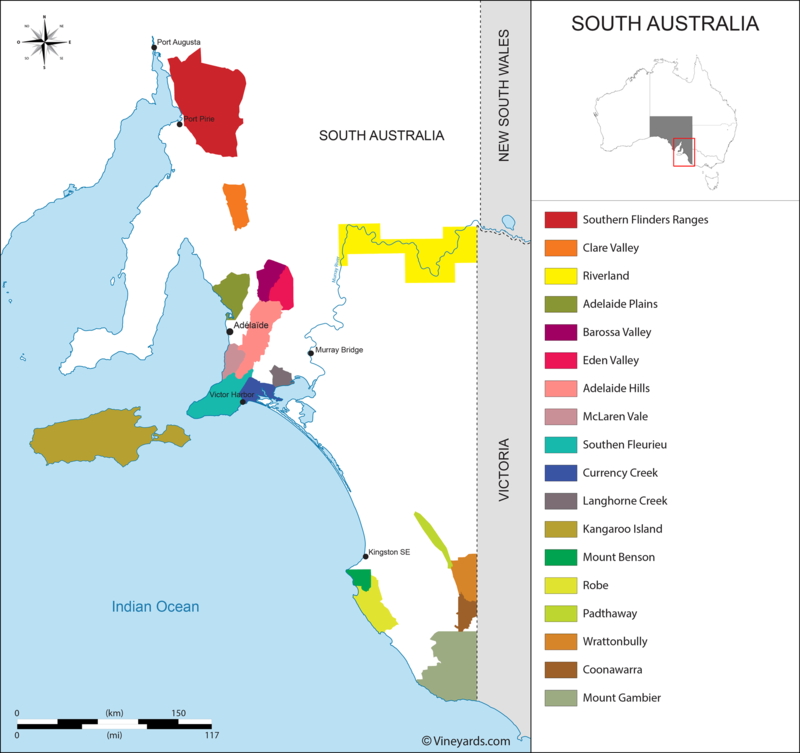 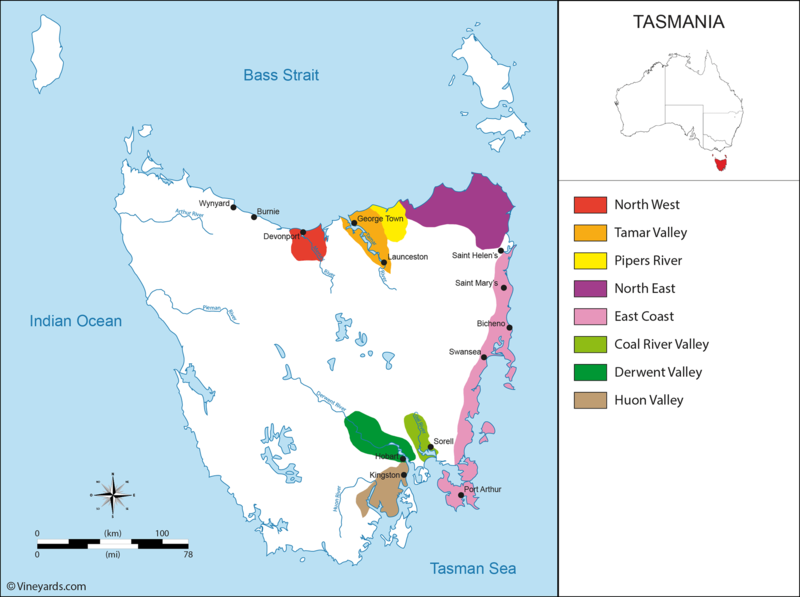 The vineyards of Australia cover 170 000 hectares in different wine regions in New South Wales, South Australia, Victoria, Western Australia, Tasmania and a smaller area in Queensland. 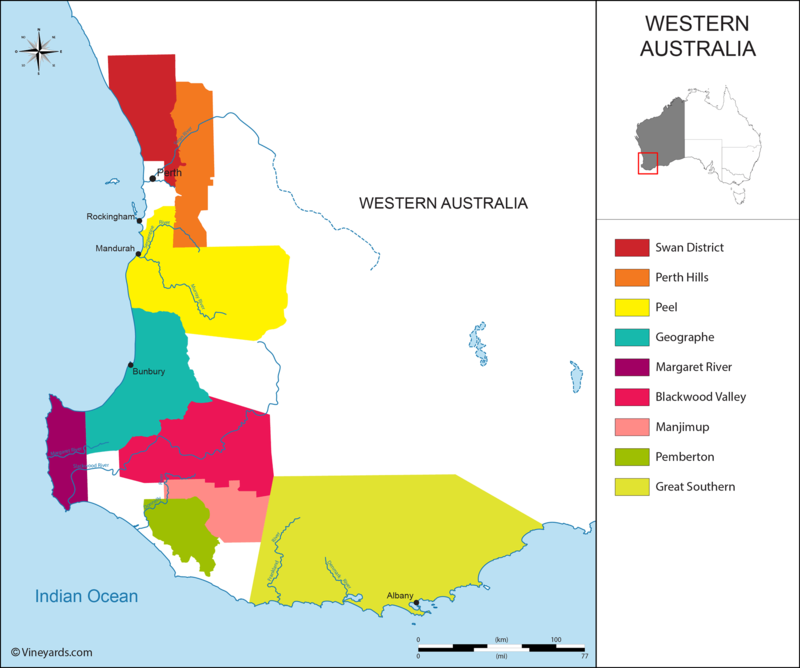 Australia was the 7th biggest wine producing country in 2015 with around 1,200 million liters of wine produced (source OIV). 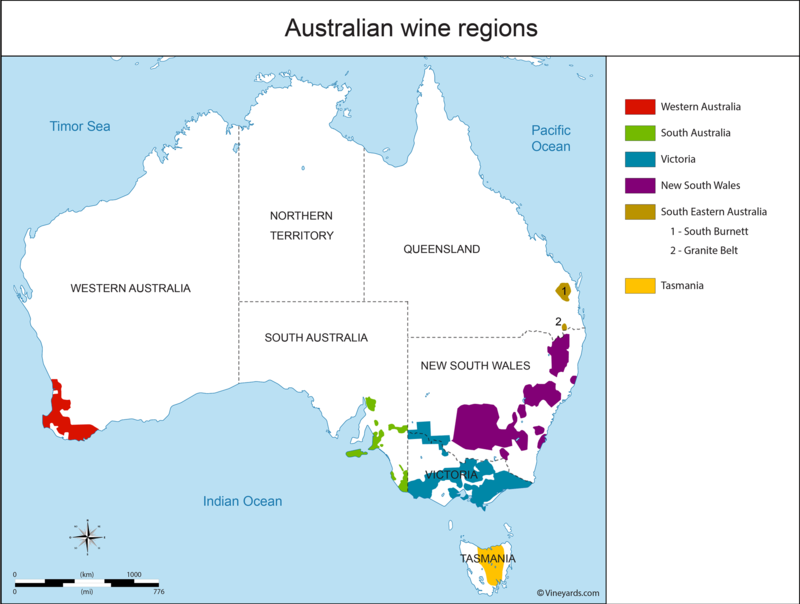 But the country consumption representing less than 40% of the production, Australia is actually the 4th largest wine exporter. 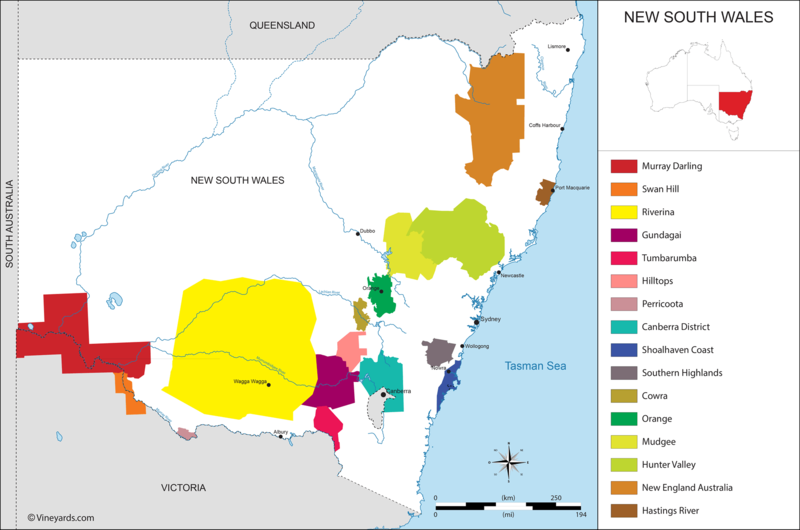 The first vines arrived in the end of the eighteenth century on board the vessels of the First Fleet of Governor Phillip going to New South Wales. 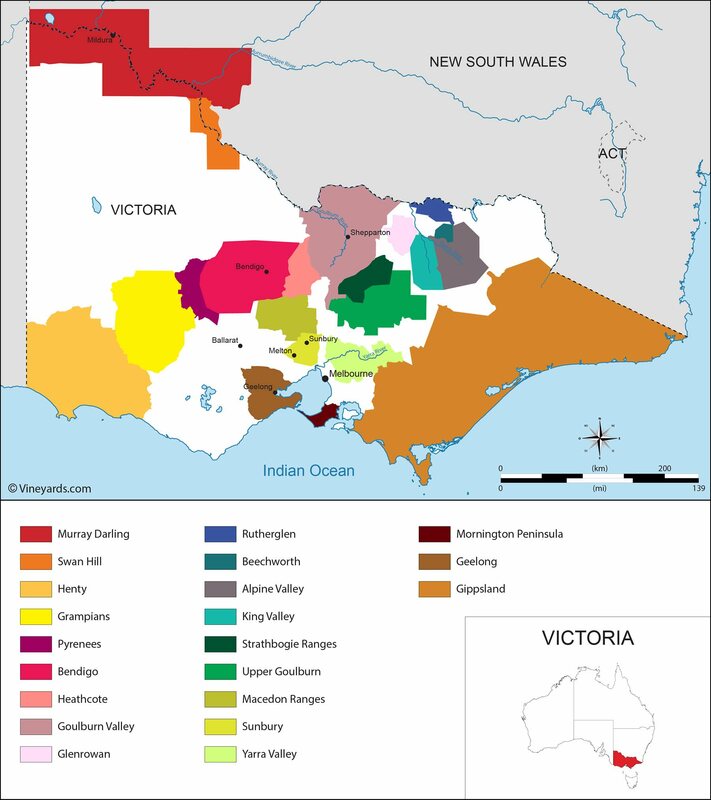 Today the main grape varieties cultivated in Australia wine regions are: shiraz (syrah), cabernet sauvignon, merlot, chardonnay, sauvignon blanc, sémillon, riesling, viognier, pinot noir, grenache, sangiovese, mourvèdre and pinot grigio.